Inspire their best with this yearly customized gift! 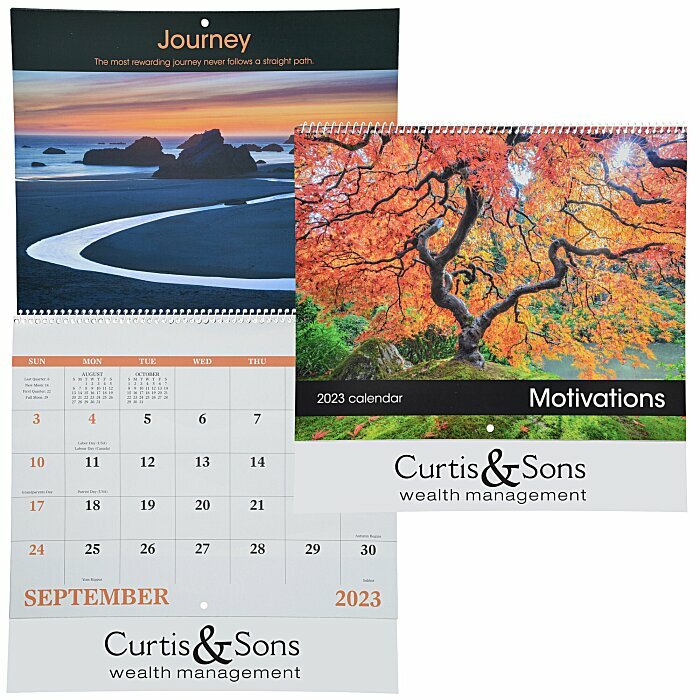 Spiral-bound calendar features brilliant full-color photography and inspiring motivational messages. Each page displays the current month along with at-a-glance calendars for the preceding and following months. Size, open: 18-1/2" x 10-7/8", closed: 10-1/4" x 10-7/8". For staple-bound calendar, see item #111992-STEmpowering Thoughts Calendar - Stapled. Additional imprint colors available for an additional charge.